The dog shivered. Licking his paws, he could taste blood, sewer water, and feel his own fear as an anguished whine rising in his throat but could not give voice to it for he knew they were still looking for him. He was hiding in a turned-over dumpster and had buried himself under old wet newspapers which provided little warmth. The dog was very hungry. It had been three days since he had had a real can of food even though it had been fed to him by the man who hit him, the man who kept him tied to the tree on a chain all day and all night to guard the man’s big inside garden. The dog closed his eyes, still shivering, and felt the old ache deep in his heart, the ache he had always had, the one he did not understand. The dog’s heart thumped as he heard the loud voice and knew it was for him. He slowly crawled out from under the newspapers and peeked around the side of the dumpster. Two big men with long sticks and strings were looking right at him from two sides. He was trapped. The dog barked and scrambled back into the dumpster pressing his cold wet body against the steel as one of the men stretched a long stick with a string towards him placing it around his neck. The dog did not understand, but barked again and again until the truck pulled away and he lay down licking the blood off his paws feeling the same old ache deep in his heart, the one he had always had, the one he did not understand. 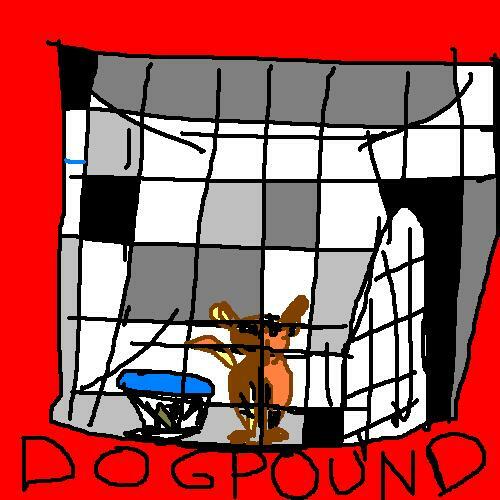 Posted in Animals, Dogs, German Shepherd, Pets, Powell River, Shelter Dogs and tagged adopt, dog pound, German Shepherd, shelter, smooth collie, SPCA. Bookmark the permalink.